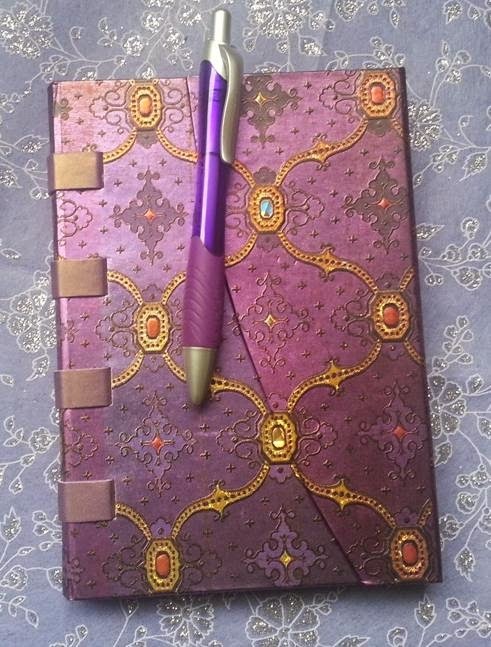 Writers' Blog: Journalling - what's it all about? Journalling - what's it all about? Have you heard about journalling? It's okay if you haven't because until recently I hadn't heard about it either. But many of you probably have heard about it and you're probably journalling your little hearts out because keeping a journal has moved into the sphere of what's currently cool. When I was a kid, I kept a diary. Each night before bed, without fail, I would write about my daily activities: things I'd done with friends, places I'd been and what a rat-bag my little brother was being. At nineteen, I travelled overseas for the first time. I went to live with my Grandma Olive in a small village in Yorkshire, England. That was Otley - featured in my books Torn and Inviolate under the name of Wolstone. My descriptions of Wolstone have been praised as being so realistic that readers could picture the landscape as though they were actually there. Well, there's a very good reason for that. You see, during the time I lived in Yorkshire, I kept a journal. At the time, I called it a journal because I thought it was what you called a travel diary. I'm really not sure if there's a technical difference between a journal and a diary - they're probably the same thing. I didn't call what I did journalling. I was writing my journal, so when I first heard the term journalling recently, I thought it was some new-fangled thing - perhaps an app or something? So what exactly is journalling? Simply put, journalling is a new style of writing down your thoughts and feelings in an exploratory, how-does-that-make-me-feel kind of way, and apparently, those who journal regularly are reporting some positive outcomes. The reason I thought I'd talk about it today is because I read somewhere that it's being recommended as a tool for managing the stresses of our modern world. I suppose journalling your thoughts and feelings might be a form of DIY therapy, but some research I have read indicates that the health benefits of journalling have been scientifically proven! Alright, does this sound like something you'd like to try? If so, where do you start? Well, simply, just write. Some people suggest that you start with where you're at in your life right now. Others recommend picking a particular issue you have on your mind and write about it in a stream of consciousness. Regardless of how you start, one of the most important aspects of journalling seems to be to just let it flow. Don't worry about spelling, punctuation or grammar (you'll never hear me say that again!) just go with your thoughts and feelings. And don't critique or censor your thoughts. That's not what this exercise is about. You're the only one who will read your journal so you need to feel free to express any thought or idea that comes to you. I've heard that many people use journalling as a way of examining issues to help them gain clarity. Perhaps you're not happy at work ... maybe your relationship feels a bit stale ... whatever your issue, look at it from each angle and write down how you feel. Of the information I've read about journalling, a consistent theme is to remember to be grateful for the things you have, the successes you've achieved and the good things in your life - however small or trivial they may seem to anyone else. This is your journal! Sometimes difficult subjects are more easily written in the third person - again remember, it's your journal, it can take any form you like. Now - very important - personalise your journal. Include photos, cards, a pressed flower from a garden. When I lived in Yorkshire and was keeping my journal, I kept tickets from places I'd visited, and I even kept a cocktail menu from a bar Grandma and I had enjoyed. I kept many other things too and looking back on them now, so many years later, I'm transported right back in time. I'm fortunate to have travelled extensively over the years - I've visited Yorkshire many times and more countries than I can name. Sometimes, I've kept a journal, and sometimes not. When I met Stuart, my husband, he'd never travelled overseas before, so on our first trip, I bought him a journal and recommended he record his trip. He did and we've had many laughs and wonderful moments of nostalgia reading over his experiences and observations. If you're interested in knowing more about journalling, there are a number of books on the subject. To check a few out click here. Until next week - get writing! PS - The term journalling I have spelt in the British / Australian form. Words like travel, in the Australian form, have double l when ing or ed is added, e.g. travel = travelling / travelled, model = modelling / modelled. The US form favours only one l. I always write in the Australian form.